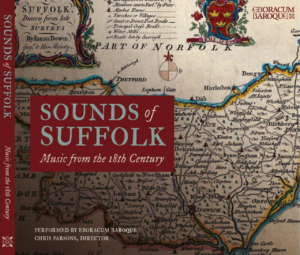 We were delighted to work with the Suffolk Record Office throughout 2016, 2017 and 2018 to create this snapshot of musical life across Suffolk in the 18th Century. It features the music of Ipswich based Joseph Gibbs as well as composers who held a connection to Ickworth House near Bury St Edmunds. This page acts as further CD notes to the CD booklet giving further information on the pieces included on the CD and performer biographies. The recording took place in two wonderful churches, Swaffham Prior and St Andrew’s Church, Wimpole. There are too many people to thank for making this project a reality but particularly to the Suffolk Record Office for all their help and support, Churchwardens at Wimpole and of course the fantastic musicians! Please click on the links below for further details and buy a copy here! Joseph Gibbs- The Celebrity Musician from 18th Century Suffolk.